Starlet C3 is sired by Vindicator, we calved her at two years old and it has not held her back. She is dam to Ferrari sold to Genus ABS and Handsome who topped the N.I. Premier Sale 2012 selling at 3800gns to NCBC A.I. company. Her Dynamite daughter Starlet J3 is even better!! She was successfully flushed producing 24 Embryos, with her first ET calves born in November 2012, sired by the $270,000 Remitall Super Duty 42S. Lamborghini, born March 2014 is a full brother to Ferrari. She was sold to found the Oakchurch herd for £10 000 with embryos retained by us. C16 was N.I. Female of the Year in 2008. She is sired by Vindicator and out of a Dendor 1 Sinner cow. Her first calf Fantasy was the dearest bull sold commercially at home in his year group. 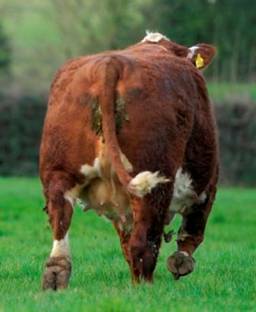 Grenade her next calf was sold to John Henning’s ‘Boley’ pedigree herd and her 2011 born calf Hero was Top price Autumn Sale Hereford 2012. Stella J11 is a full sister to Hero and was 1st in her class at National Show 2012. 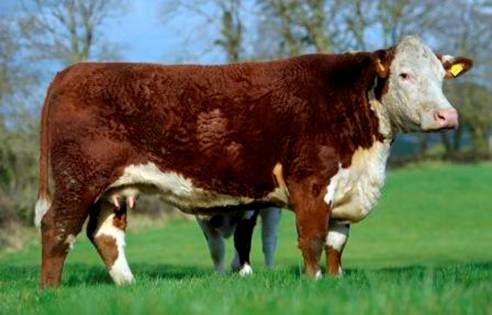 Was flushed to RLOA Dynasty 37U & Dorepoll 1 93N Nationwide, with calves due Autumn 2013. 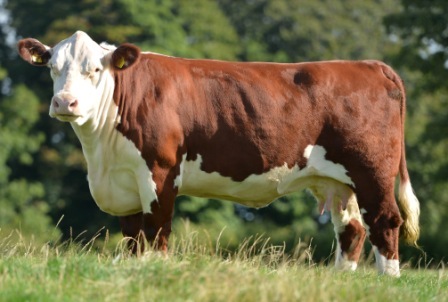 She was sold in 2013 to Netherhall Herefords and is the UK record price female selling for £12 000. Olympic Amber was purchased in 2013 along with her Moeskaer Keno daughter at foot, after the success of Radar’s daughters in our herd and Gilbert for the Dendor herd. A maternal sister to Radar but sired by Olympian 262L, sire of Patriot. Olympian also sired to 2013 Balmoral Champion. Amber’s weight, milk EMA, IMF, TI & SRI figures are in the Top 10%. Starlet E21 is our only daughter of RLOA Dynasty. From one of our strongest cow families she is a maternal sister to B10 who was NI Female of the Year and has sons in 2 herds in England. Her best son to date was Jethro who sold at Hereford in April 2013 for 5400gns, the second top price and was sired by Dynamite. She has been flushed to Dynamite with ET calves due in 2014, with some also available for sale. A Seaconpoll 1 Rumpus daughter was sold to Pulham Herefords, another daughter sold for 5500gns in April 2016 with a full sister being reserve Champion Royal Ulster 2016. C4 is a massive daughter of Vindicator that always rears a good calf. She was shown successfully as a heifer and as a cow. A son Hallmark was sold privately to Portman Burley estates and another son Landmark was sold for 8200gns in the Hereford April Sale 2015. Her daughters have sold to £5000. G2 is a typical Dynamite daughter. Her first calf Jubilee was Reserve Champion at the NIHBA Premier Sale in 2014. She is the dam of KitKat who sold for 10,800gns in the Hereford April Sale in 2015. Her next calf Milkyway was an excellent calf and sold for 8400gns in Hereford. She has 3 daughters retained in the herd N14, P5 & P7. H9 is one of our most admired cows, weighing 1015kg in summer 2017. Her full sister is dam of the 2017 Royal Ulster Reserve Champion, and 2 full brothers have been sold to pedigree herds. A son Mustang was sold privately to the Hollybush herd at 13 months and a full brother is for sale in Ocober in Hereford. Another son Nashville sold for the second top price in the Hereford October sale in 2017.